In many European countries the presence of artificial waterways is considered an important heritage asset. Canals are a significant part of urban and rural history, essential to flood control strategies as well as having acted as a catalyst to industrial development and expanding commercial networks. When studied in isolation, canals have bequeathed fascinating artefacts to our built environments (towpaths, bridges, locks, shipyards, slipways, etc. ); an architecture that has sustained livelihoods and more recently, has offered opportunities for leisure and recreation. Canals have also served as sites of artistic inspiration, through literature, painting, poetry and song. However, whilst the cultural heritage of major rivers and canals are well known and publicly accessible, the cultural heritage of minor rivers and canals is not known or shared so readily. As a consequence the contribution of the cultural heritage of this important hydrological asset to local and regional sustainable development has been limited. 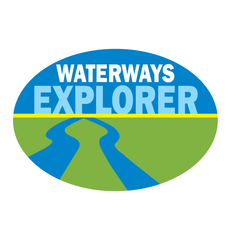 The European Waterways Heritage Project (EuWatHer) is designed to reconnect communities with the cultural heritage of their canals and rivers. The University of Brighton and the Canal and Rivers Trust (North West) are working with colleagues in Amsterdam, Venice and Girona to promote knowledge of the cultural heritage of minor waterways and historic canals. * Developing applications (apps) to access the information stored in the database by promoting the cultural heritage of the canals and rivers for tourism purposes and to communicate this heritage to a range of audiences, with interactive maps also produced for policy-makers and entrepreneurs to inform strategic investment decisions. * The overall objective is to develop new opportunities for eco-tourism and outdoor recreation as a driver for sustainable development, together with better management and planning of secondary waterways networks. Also, EUWATHER aims to foster trans-boundary exchange of experiences to develop new, more coordinated institutional strategies and encourage research activities (oral history) that reflect tourist interests as well as local values.